Dr. Nancy L. Zimpher is among the most in-demand thought leaders in higher education in the U.S. and around the world. From 2009 to 2017, Nancy served as the 12th chancellor of The State University of New York, the nation’s largest comprehensive system of public higher education. Prior to SUNY, she served as president of the University of Cincinnati, chancellor of the University of Wisconsin-Milwaukee and executive dean of the Professional Colleges and dean of the College of Education at The Ohio State University. Throughout a career that began in a one-room schoolhouse, Nancy has formed a paradigm-shifting vision that rises to meet the expansive responsibilities of public higher education in the 21st century. “To educate more people and to educate them better” is the mantra at the center of her collective-impact theory of action, which she exercises in several key areas, including building on university strengths to drive regional and local economic development; creating seamless cradle-to-career education pipelines in every community; and systemically transforming teacher education into a rigorous practice that reliably creates great teachers for every classroom and student. Nancy is co-founder and current chair of StriveTogether. 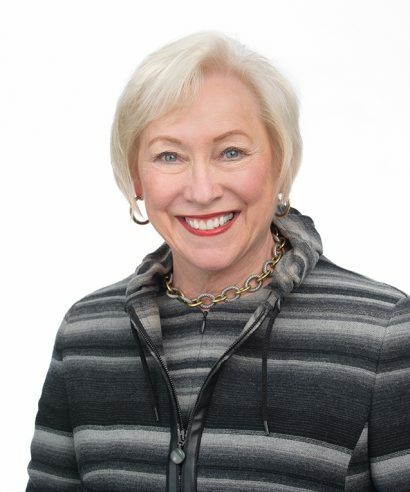 Concurrent with her role as SUNY chancellor, she served as chair of the National Association of System Heads from 2014 to 2017, was on the Board of Governors of the New York Academy of Sciences from 2011 to 2016 and CEOs for Cities from 2012 to 2013, and led the national Coalition of Urban Serving Universities from 2005 to 2011. In Nancy’s eight years at the helm of SUNY, she developed and led a diverse set of initiatives that transformed the vast institution from a loose constellation of 64 campuses into a focused, cohesive whole. Through the disciplined cultivation of the university’s “systemness” under Nancy’s vision and leadership, SUNY implemented groundbreaking new policies that expand college access and affordability, improve completion, promote diversity, ensure equity and support world-class teaching, research, and innovation. Her professional practice remains focused on creating policy that revolutionizes teacher education and builds seamless education pipelines in underserved communities. Nancy holds a bachelor’s degree in English education and speech, a master’s degree in English literature and a Ph.D. in teacher education and higher education administration, all from The Ohio State University. She has authored or co-authored numerous books, monographs and academic journal articles on teacher education, urban education, academic leadership and university-community engagement. With each institution and initiative she leads, Nancy challenges her colleagues and partners to aspire to the “big, hairy, audacious goals” that might seem out of reach. Her major initiatives demonstrate her uncanny ability to transcend traditional boundaries between town and gown; public, private and nonprofit sectors; and across all levels of education systems — garnering transformative results that change universities and communities for the better. Undergirding all of Nancy’s work is her unwavering commitment to improving education access and success so that all Americans have the chance to meet their full potential.